Of all the niches of historical fiction, the one that continues to fascinate Americans (and perplex the rest of the planet) is the US Civil War. Many of the people I know trace their fascination back to family history. Such is the case with Keith R Baker and his “Longshot” series. 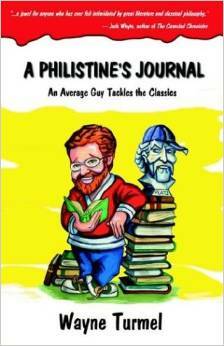 Here’s a bit about the author. In addition to being an avid history and genealogy buff, Keith has been an avid outdoorsman his entire life. He has a variety of hats in the business world after completing two periods of duty with the US Navy. His hobbies apart from reading and research include shooting, teaching others the basics of gun safety & handling. Until recently he took an active role in local and regional politics as a public speaker and campaign consultant. Keith and his family took up a farming life “off-the-grid” in the Missouri Ozarks for several years in a very rural setting. Lessons learned from that experience help inform his writings about the era 100 years earlier, before electrification occurred. 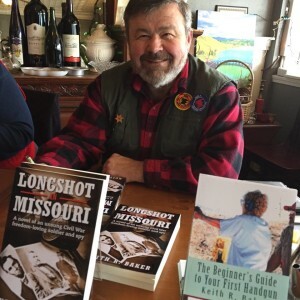 In a nutshell, what’s “Longshot in Missouri” about? 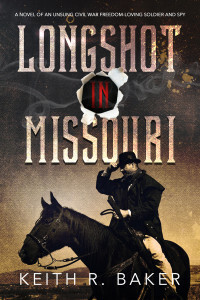 The Longshot In Missouri (and the Longshot series) is about an Irish immigrant farmer, Rob Finn by name, who gets caught up in the real politics of the Civil War while trying to do his level best in fulfilling his duty as a citizen, soldier, husband, father and man. His exceptional talents open unexpected opportunities to see and learn what makes his adopted nation tick. His perspective expands to see the other side of the war – a side he hadn’t read about and didn’t suspect existed. What is it that makes this story–and the whole time period–so fascinating to you? It has been said that no human endeavor presents the level of challenge as does war. A civil war exacerbates that claim several-fold. My intrigue was initially stirred by my genealogical research and the revelation that I had ancestors on both sides of the fight. The main character, Rob Finn, is amalgamated from several ancestors and others. There lives were very real, very challenging. I am always envious of people who can trace their families back a long way, I certainly can’t. Without spoilers, what’s your favorite scene in the book? My favorite scene in the first book occurs after the hero is surprised by events at home and makes amends to his young family in stress. Bobby, thanks for visiting and commenting. I’m so glad you enjoyed Keith’s book. Hope you check out some of the others I talk about here…. and if characters are your thing when you read historical fiction, try Count of the Sahara. De Prorok was a real character, and I think you’ll enjoy the story. If you read it, let me know what you think.